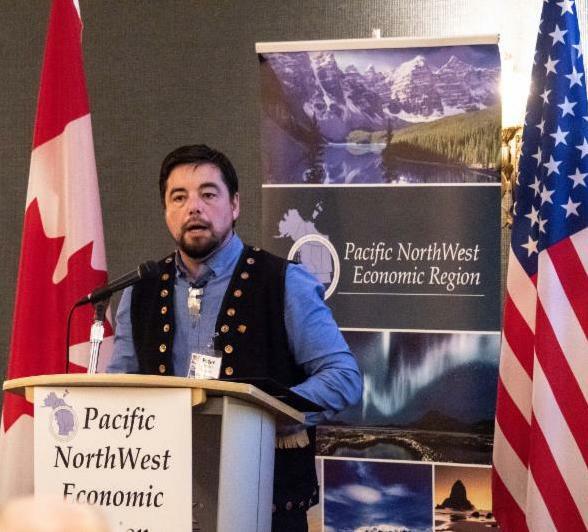 Highlights from first Economic Leadership Forum held in the Yukon! 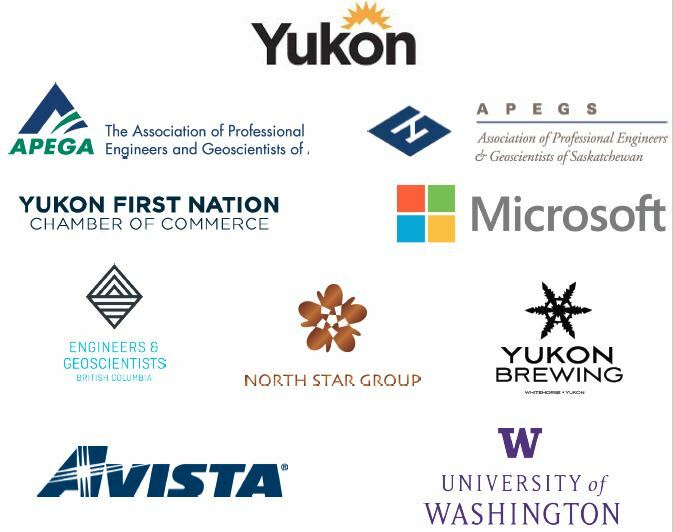 Legislators, First Nation leaders, business executives, and policymakers from the Pacific Northwest states and western Canadian provinces and territories met in Whitehorse, Yukon for the Pacific NorthWest Economic Region’s (PNWER) Economic Leadership Forum last week. Delegates heard from leaders and experts on a number of topics important to our region, toured Whitehorse's Innovation Hub, Air North, and Yukon Brewing, and even saw the Northern Lights! Check out a summary and highlights from the week below. 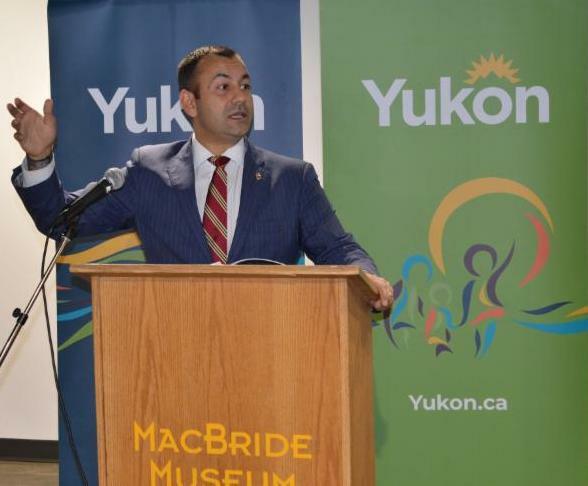 The Economic Leadership Forum kicked off with an opening reception at the MacBride Museum for Yukon History with welcoming remarks from The Honourable Ranj Pillai, Minister of Economic Development and Energy, Mines, and Resources. 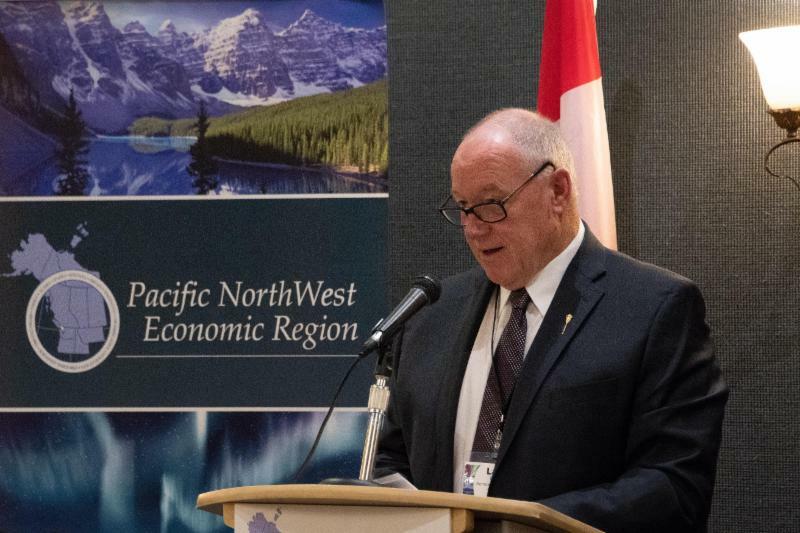 Delegates were welcomed to the Yukon by The Honourable Sandy Silver (pictured on right), Premier of Yukon, during Wednesday's Opening Breakfast with opening remarks by PNWER President, Larry Doke, MLA from Saskatchewan (pictured below). The Premier provided a keynote address and highlighted the importance of First Nations in Yukon’s economic development strategy and the expansive opportunities available in the territory. The Premier emphasized how important these international and inter-provincial relationships are, as the region has similar challenges and can learn from each other. He mentioned the importance of the Shakwak highway to both the Yukon and Alaska. A key issue on the first day of the conference was how the US midterm elections and changes in the US Congress will affect the ratification process of the new US, Mexico, and Canada Agreement (USMCA). Speaking on a panel, Oregon Senator Arnie Roblan (center) said, “It is too soon to determine if the Democrat leadership in the House will support the ratification of the USMCA.” The Senator clarified that according to US law, the Congress can only vote up or down on the Agreement, and cannot amend or change it. Alaska Representative DeLena Johnson (right) spoke about new Alaska Governor Mike Dunleavy and leadership in the Alaska House, which is uncertain as votes are still being counted. Participants heard from Keith Halliday (left), Director of the Boston Consulting Group Centre for Canada's Future, on an overview of recent elections in Canada, and what to expect in the next 12 months, where we will see elections at the provincial and federal levels in Alberta and Ottawa. Delegates heard from the Northwest's consuls general (left to right): Consul General Katherine Dhanani, Consulate of the U.S. in Vancouver; Consul General Brandon Lee, Consulate of Canada in Seattle; and Consul General Lucia Piazza, Consulate of the U.S. in Calgary. 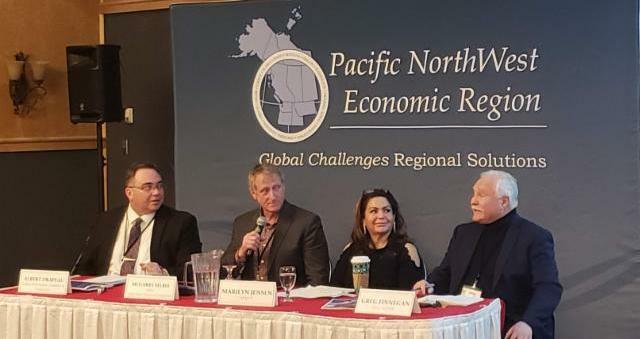 PNWER CEO, Matt Morrison, is pictured on far left. 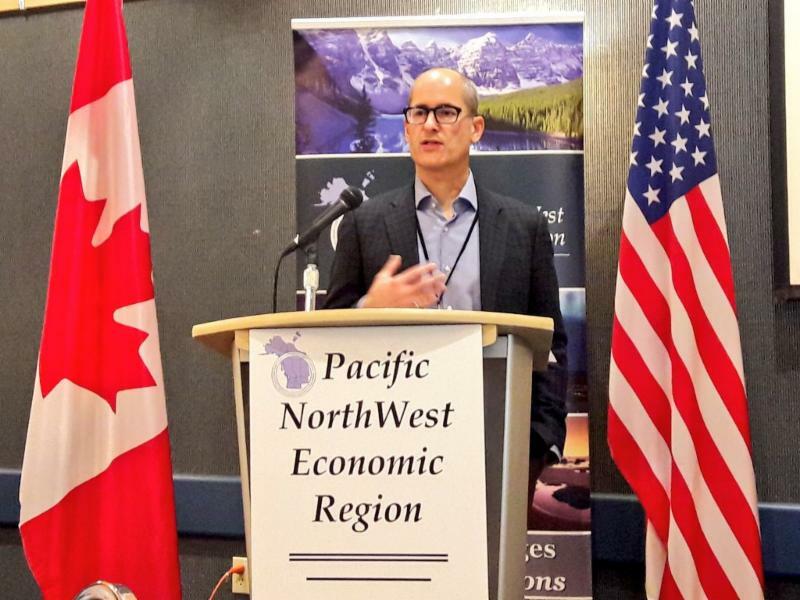 On the new USMA, Consul General Brandon Lee said, “The USMCA contains several new provisions that provide considerations for First Nations, as well as new sections on digital trade.” Consul General Kathy Dhanani and Consul General Lucia Piazza noted that this region (PNWER) is well known for fostering a collaborative environment and building trust and partnerships across the US – Canada border. The Consuls General also highlighted several best practices in the bi-national region, including the Cascadia Innovation Corridor focused on fostering technology in our interconnected region, Beyond Preclearance Initiative developing innovative pilots for utilizing technology at border crossings, and the cooperation on many key cross border issues including transboundary water, invasive species, and mutual collaboration on security and law enforcement. During Wednesday's plenary luncheon, Grand Chief Peter Johnston gave a history of Yukon First Nations and explained the Yukon First Nations’ governance model and the legislation which created it. The Grand Chief was followed by a panel of First Nation leaders, moderated by Shirley Adamson, Yukon Vice Chief of the Assembly of First Nations (pictured on right) with Chief Steve Smith (left) of the Champagne and Aishihik First Nations and Chuck Greene (not pictured), Economic Development Director of the Northwest Arctic Borough, Alaska. The panel addressed First Nations leadership and governance. Discussions surrounding First Nations economic development, tourism opportunities, governance, and leadership in the territory was a key highlight of the conference’s first day. Pictured left to right: Albert Drapeau, Executive Director of Yukon First Nations Chamber of Commerce; McGarry Selbee, CEO of Chief Isaac Group of Companies; Marilyn Jensen, Yukon First Nations Culture and Tourism Association; and Greg Finnegan, CEO of Na-Cho Nyäk Dun Development Corporation, during the First Nations Economic Development and Aboriginal Tourism Initiatives session. The North offers unique challenges and creative solutions in meeting energy needs for consumers and industry. Michael Ross , Industrial Research Chair in Northern Energy Innovation, The Yukon College moderated the discussion on the benefits of their projects and the technical, financing, and workforce challenges faced. 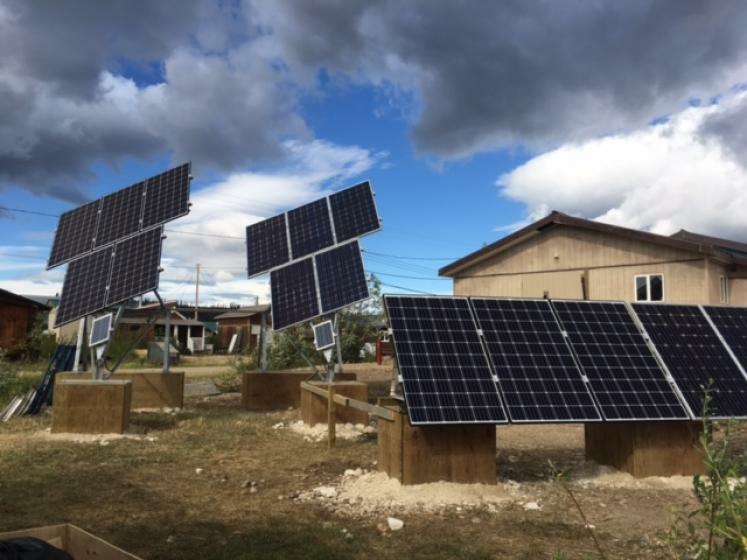 Rosa Brown , Lands Manager, Vuntut Gwitchin Government shared exciting news on the Old Crow Solar Project which is designed to produce up to 900 kilowatt hours of solar energy and eliminate some 93,000 litres of diesel consumption in a community of 245 in Northern Yukon. Brown mentioned the technical innovation, including east-west panel orientation, necessary for the climate and the excitement of the young people in the community to see the project near completion. (See photo above). Malek Tawashy , Director, Northern Energy Capital Some communities are relying solely on imported fossil fuels for 100% of energy which entails a high cost of energy, reliance on imports, and high environmental and wildlife risks. Yukon does have world class wind resource and his company has several projects in development ( presentation here ) . J.P. Pinard , Consulting Engineer, Pinard Consulting explained the potential of electrical thermal storage to pair with wind energy ( presentation here ) . The presenters agreed there is great potential for new energy projects in the North but require innovative financial and workforce partnerships. 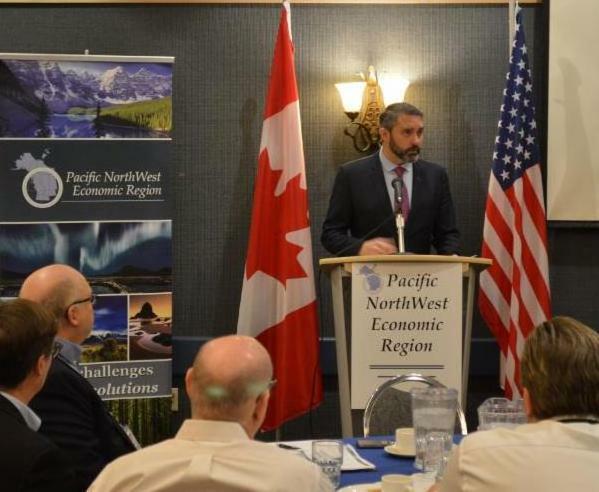 Over the past year, PNWER has worked to address new US steel and aluminum tariffs, pushing for an exemption for Canada. 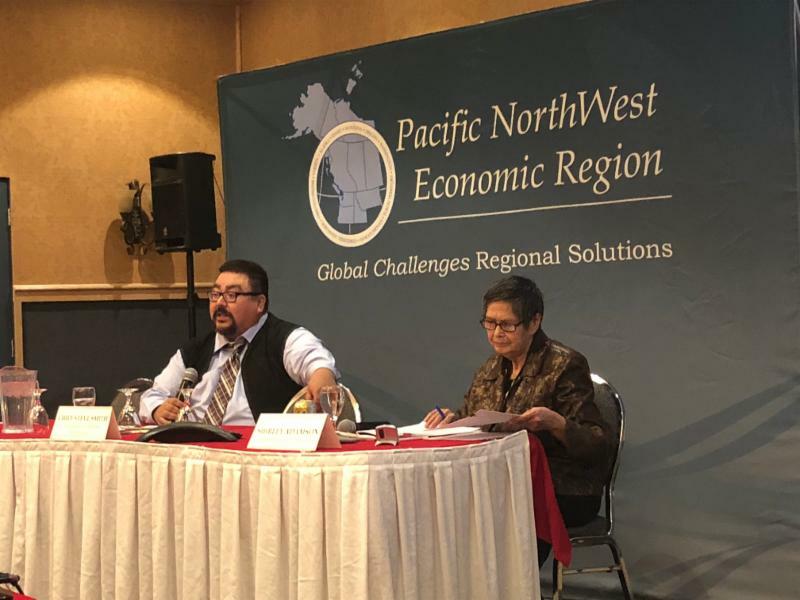 PNWER hosted a session in Whitehorse facilitated by Keith Halliday to examine the specific negative impacts these tariffs are having on businesses on both sides of the border. Gavin Semple , President of Brandt Industries from Saskatchewan provided an overview of how increased steel and aluminum prices have severely impacted his heavy equipment orders. He also shared how the tariffs will have long term implications on jobs and future business on both sides of the border. Likewise, Rob Roe from Western Trailers in Boise Idaho discussed the challenge of delivering existing contracts as steel prices rise because of the tariffs. 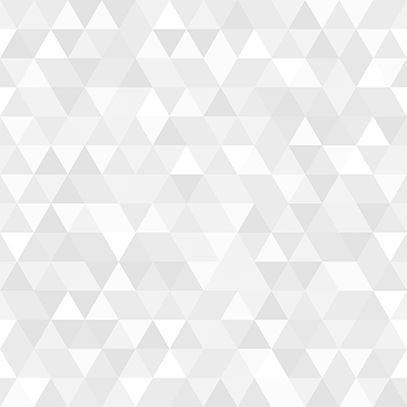 The company is forced to raise prices which has resulted on a decline in new orders. At the conclusion of the session, PNWER issued a statement opposing the tariffs on steel and aluminum. 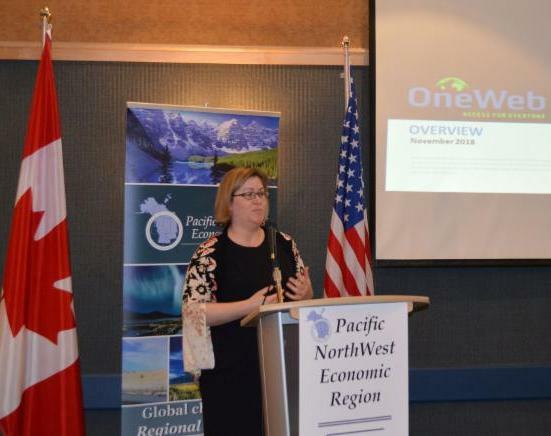 Click HERE to read PNWER's statement. Bruce Agnew , chair of PNWER’s Transportation Work Group gave a presentation on the latest technology for automated, connected, electric and shared vehicles (ACES), focusing on the pilots underway to platoon trucks with safety drivers, and discussed the workforce and safety issues that are being addressed in the region, and the efficiency impacts that this new technology will have on supply chain logistics. Mark Romoff (pictured above), President and CEO of the Canadian Council for Public-Private Partnerships in Toronto gave an overview of P3’s across Canada and featured several First Nation projects which are being organized through the First Nations Major Projects Coalition, and described a new initiative called the First Nations Infrastructure Institute. ( Presentation here ). 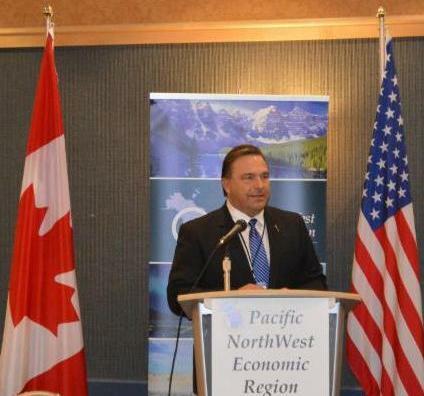 Minister Ken Cheveldayoff from Saskatchewan invited delegates to the 2019 PNWER Annual Summit in Saskatoon July 21-25, 2019 and encouraged all to come to the "Paris on the Prairies"-Saskatoon next summer. 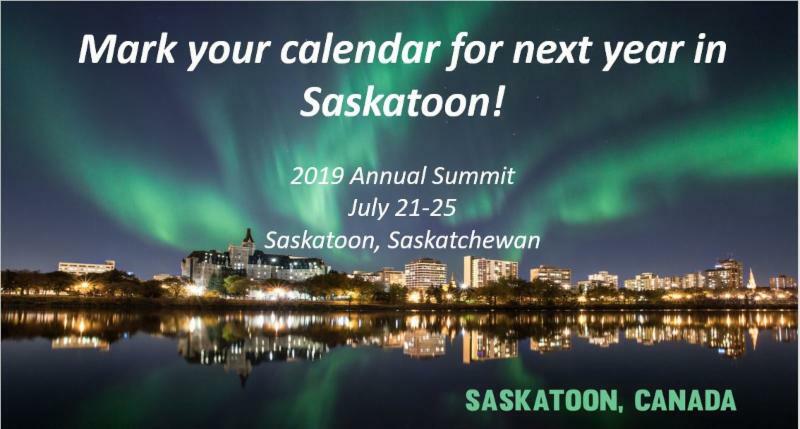 For more information on the 2019 Annual Summit in Saskatoon, visit our event page here. ﻿communities. For more information on OneWeb and the work they are doing around the globe, visit their website here. Featured speaker, The Honourable Richard Mostyn (pictured left), Minister for Highways and Public Works for the Yukon Government, talked about the work that the government is undertaking to address infrastructure challenges. PNWER delegates learned about the unique issues Yukon is facing on maintaining and improving infrastructure particularly given Yukon's geographic size and climate change impacts. The Alcan Highway is a critical link across the northern US- Canada and Min. Mostyn briefing the Delegates on Shakwak funding requests from Yukon and Alaska. 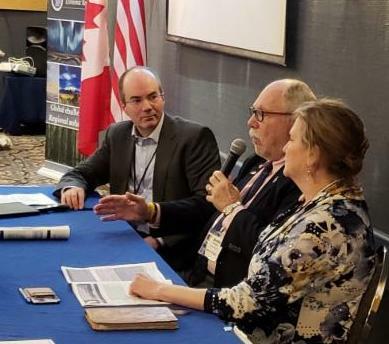 Panelist Rod Savoie (pictured right), Past President, Engineers Yukon showcased the workforce needs in Yukon and the increased development that Yukon is projected to have in the future. Andrew Hall, President and CEO of Yukon Energy provided an in-depth overview about the current infrastructure projects and the energy demands of the Yukon. Andrew also spoke about the future projects and increase of renewable energy options for communities. David Bennett, Director, Communications and External Relations, FortisBC gave a terrific presentation on liquefied natural gas (LNG) opportunities for transportation in the North. (Presentation here.) 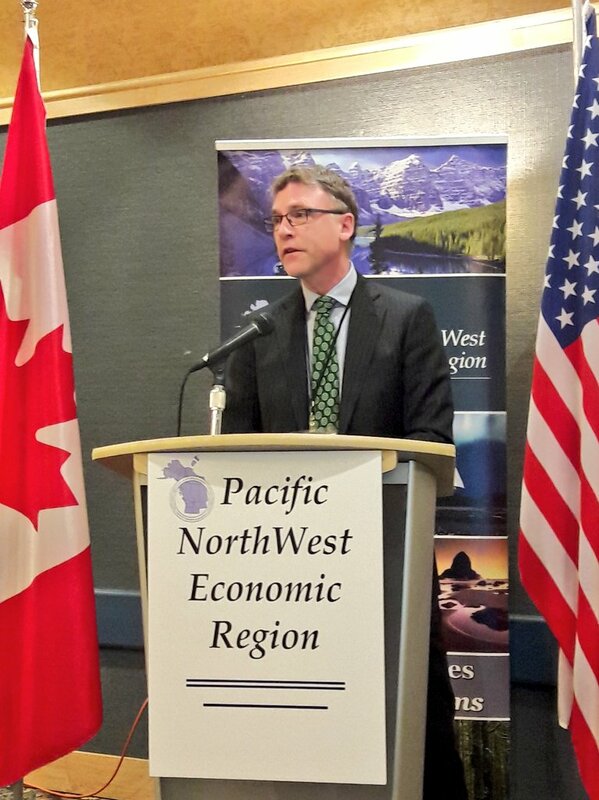 Trevor Heryet of Transport Canada spoke about the Canadian National Trade Corridor Fund (NTCF). This fund will be an opportunity to finance infrastructure in the North. (Presentation here.) Rounding out the panel, Kells Boland from PROLOG Canada showcased the potential transportation corridors as well as the deep water ports in the Arctic. These corridors could bring the promise of development and modernized infrastructure for communities along the routes. (Presentation here.) 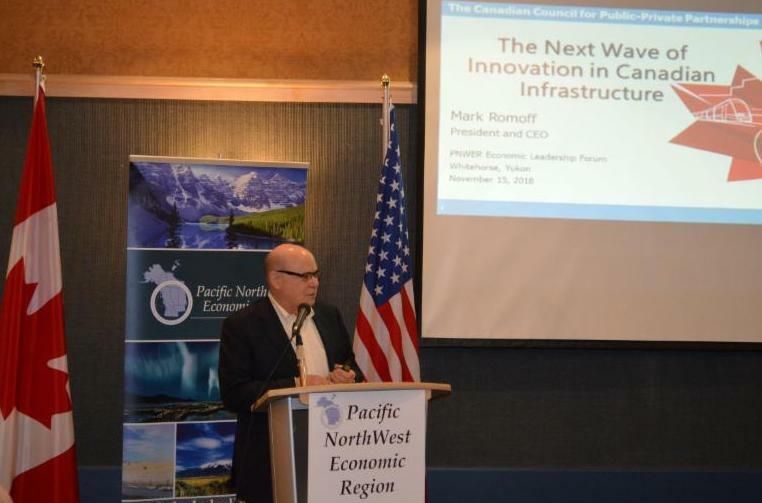 This session was an impressive showcase of infrastructure opportunities in the North and a tremendous example of the knowledge exchange PNWER offers to its delegates. Participants took part in several policy tours showcasing local Yukon success stories and highlighting the innovative businesses in the region. Over the course of the week, conference attendees toured NorthLight Innovation, Air North, and Yukon Brewing. NorthLight Innovation is a new facility that provides a centralized location bringing together business, industry, government, and higher education to support Yukon’s entrepreneurs. 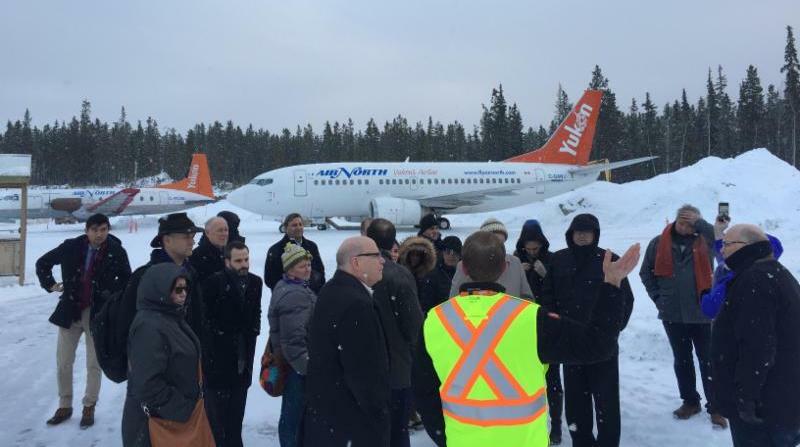 On Thursday afternoon, attendees toured “Yukon’s Airline” Air North. Founded in 1977, Air North is now one of the largest employers in Yukon Territory and is deeply connected and integral to the Yukon economy. One in fifteen Yukoners hold an equity or employment stake in Air North. Following the Air North tour, p articipants had the opportunity to tour Yukon Brewing, a Whitehorse-based brewery that has become the most popular brewery in the region. Attendees took part in a guided tour of brewery operations and had the chance to sample the products! For preliminary information on the 2019 Annual Summit, including accommodations and travel, visit our event page on our website.